One of the biggest financial mistakes a company can make is to misclassify its workers. From your perspective, it might not be a big deal whether those who work for you are considered to be employees or independent contractors. But the IRS has a very different perspective—and getting worker classifications wrong can cost your business big money in back taxes and IRS penalties. The IRS places all workers into two categories: independent contractors and employees. The reason for this is to distinguish for which workers businesses must withhold from wages income taxes and withhold and pay Social Security, Medicare and unemployment taxes. In short, employers are required to withhold and pay these taxes for employees, but not for independent contractors. How much control does your business have over the worker’s job and how he or she performs it? Does your company (i.e., payer) control the business aspects of the worker’s job? For example, how the worker is paid, the reimbursement of expenses, and the provision of necessary supplies and tools. Considerations here include such factors as whether or not there is a written contract in place between your business and the worker, whether your business provides benefits (e.g., retirement plan, health insurance, and paid time off) and whether the relationship will continue or is a temporary one. The IRS encourages employers to weigh all of these factors as they make the independent contractor vs. employee determination. It acknowledges that some factors may point to a worker being an independent contractor, while others point to him or her being an employee, and that there is not any particular factor that is more important than the others. In addition, factors may be more or less relevant in different situations. In other words, there is some gray area when it comes to worker classification. Therefore, the IRS stresses the importance of looking at the entire worker-employer relationship and carefully documenting all of the factors that your business considered in making the determination. To help provide a little more guidance, the IRS has specified 20 detailed factors with respect to the worker-employer relationship that you can use in making the determination. They have to do with the level of training and instructions provided by your business, hours of work required, whether employment is full-time or part-time, the establishment of work sequence, types of reporting requirements and payment terms, whether the worker works remotely or on site, your business’ right to fire the worker, and the worker’s right to quit, among other factors. The IRS has created a form (Form SS-8, Determination of Worker Status for Purposes of Federal Employment Taxes and Income Tax Withholding) that you can complete and file in order to receive an official IRS determination about a worker’s employment status. Keep in mind, though, that receiving an IRS determination may take six months or longer. If your business regularly hires particular types of workers and you’re unsure about their classification, you could file Form SS-8 once for each type and receive an IRS determination that you can use for all future hires. Truck drivers, in particular, can be difficult to classify properly due to the many different variables involved in the relationship between the driver and the trucking company. For example, who supplies the truck and pays for repairs and insurance? Who pays for tolls and gasoline? Is the driver compensated based on mileage driven, a percentage of the load or some other factor? In addition to taxes, the distinction is important for trucking companies because of liability if the driver is involved in an accident. If the driver is classified as an independent contractor, the company may be able to distance itself from legal responsibility and tort claims for his or her actions. It’s critical that Los Angeles and Southern California CEOs and CFOs classify their workers correctly. Failure to do so could be costly, as the IRS can assess back taxes and penalties against employers on a per-worker basis for incorrect classifications. 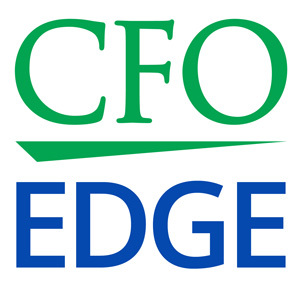 An outsourced CFO services provider may be able to provide guidance if you have more questions or are unsure about specific worker classifications.